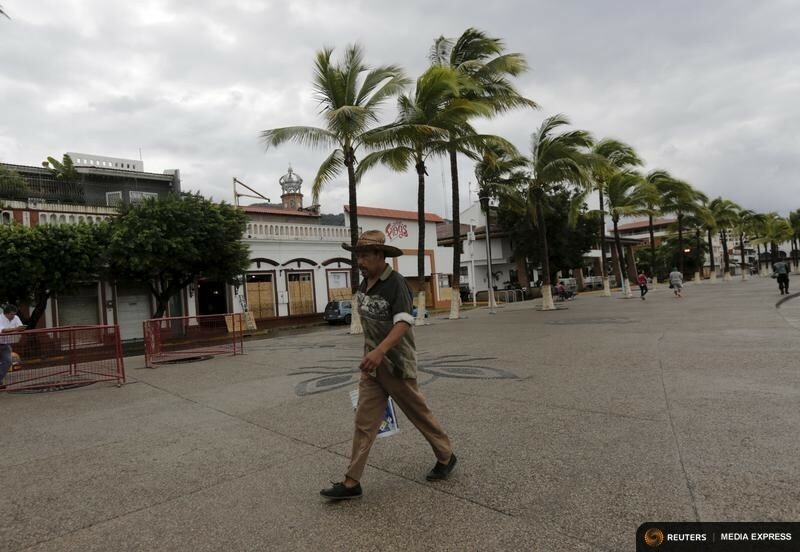 CASIMIRO CASTILLO, Mexico (Reuters) – Hurricane Patricia caused less damage than feared on Mexico’s Pacific coast on Saturday, but little was known about an isolated part of the shoreline dotted with luxury villas and fishing villages, where the storm and its 165 mph (266 kph) winds landed. Thousands of residents and tourists had fled the advance of the storm, one of the strongest in recorded history, seeking refuge in hastily arranged shelters. There were no early reports of deaths and it appeared major damage was averted as Patricia missed tourist centres like Puerto Vallarta and the major cargo port of Manzanillo. 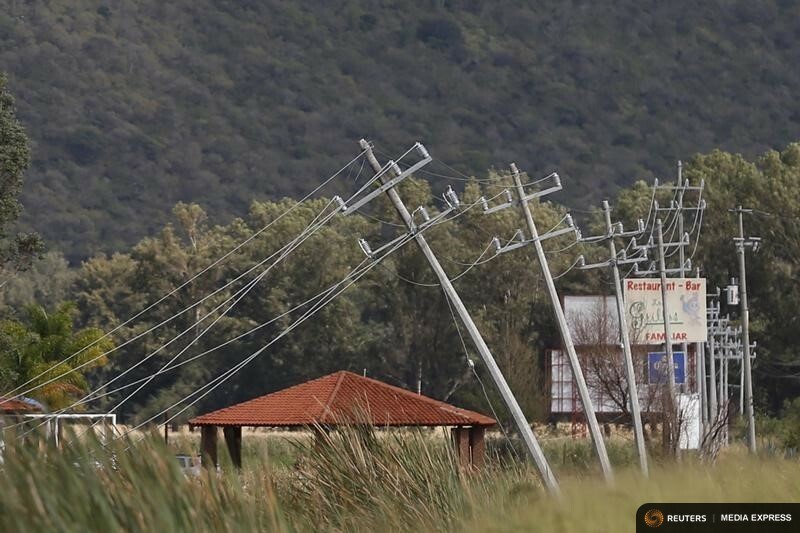 However, phone lines remain down where the storm hit in Cuixmala, the site of one of Mexico’s most exclusive getaways located between Manzanillo and Puerto Vallarta, and it is unclear how bad the situation could be there. Mowing down trees, flooding streets and battering buildings, Patricia hit land as a Category 5 hurricane on Friday evening before grinding inland. It moved quickly but lost power in the mountains that rise up along the Pacific coast and was downgraded to a tropical depression on Saturday morning as it headed through central Mexico. Away from the more populated areas, however, residents described awaking to a scene of chaos after a terrifying night. “Thankfully the damage wasn’t so bad” in the Puerto Vallarta area, said Alhy Daniel Nunes, a spokesman for the Red Cross of Jalisco state. Patricia’s ferocious core was relatively small, with hurricane force winds extending 35 miles (55 km) from the centre, the Hurricane Center said. This meant Puerto Vallarta and Manzanillo were spared the worst. 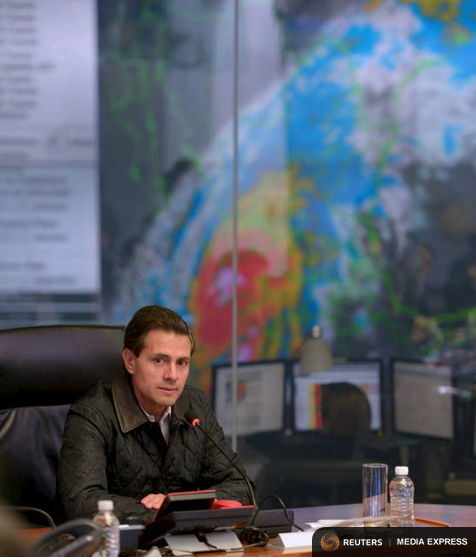 The hurricane’s centre hit land on Friday evening near the area of Cuixmala, the U.S National Hurricane Center said. Founded by Anglo-French financier Sir James Goldsmith, the resort at Cuixmala has played host over the years to a colourful assortment of world leaders, musicians and eccentric billionaires. Patricia was located about 45 miles (72 km) southwest of the city of Monterrey, heading northeast at 22 mph (35 kph), the centre said. Welcome to Facts and Opinions. Try one story at no charge. If you value our work, please chip in at least .27 per story or $1 for a day site pass, using the “donate” button below. Click here for details about supporting us. Real journalism has value. (Reuters) – Barrelling in from the Pacific, powerful Hurricane Patricia moved so quickly past the Mexican coast that it failed to saturate the ground and produce the devastating flooding that often comes with storms of this size, meteorologists said on Saturday. 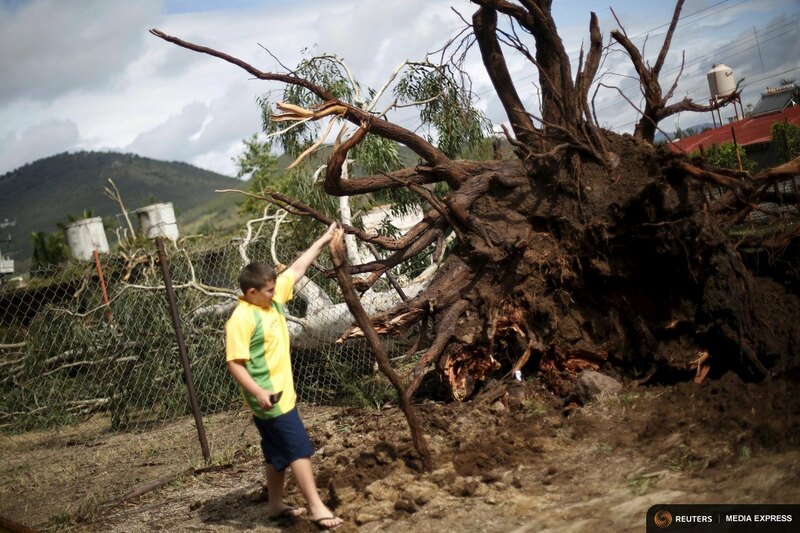 The Category 5 storm appeared to have caused less damage than originally feared after it made landfall on Friday south of Puerto Vallarta and north of Manzanillo as one of the most powerful storms on record with winds of about 165 miles per hour (266 km/h). Cutting a path through a sparsely populated coastline dotted with fishing villages and exclusive villas, Patricia quickly met high, jagged coastal mountains that cut the storm’s force. Early Friday, officials warned that Patricia could cause catastrophic damage after it drew strength in the eastern Pacific Ocean from the warm waters of this year’s El Nino climate phenomenon and reached a windspeed at sea of 200 mph, making it the strongest storm recorded in the Western Hemisphere. While the major cities were largely spared, the extent of damage to the more remote areas was still unclear. Patricia moved over land at a speed of about 20 mph (32 km/h), which is fast compared to other storms, meteorologists said. “You always want a fast-moving storm as opposed to a slow-moving storm,” said Dennis Feltgen, spokesman for the National Hurricane Center in Miami. “If this was moving slower, if it had stalled out over Mexico, we’d be looking at a catastrophic flooding event, but that’s not the case here,” he added. 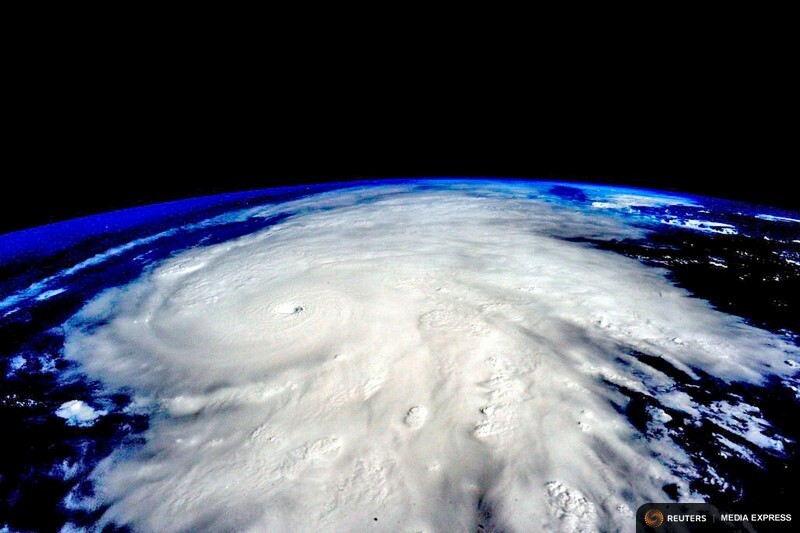 In comparison to Patricia, Hurricane Manuel moved more slowly when it made landfall in western Mexico in 2013, and it was a heavily destructive and deadly storm, said Jeff Masters, director of meteorology at commercial weather forecaster Weather Underground. Western Mexico’s coastal topography also appeared to have blunted the force of the hurricane. The ocean water off the coast where the hurricane made landfall is deep, allowing some of the water that the storm accumulated in its centre to drop and disperse before hitting land, Masters said. If Patricia had struck a large area of shallow water just off the coast, the hurricane would have gathered a greater volume of water into a storm surge, Masters said. Mexico’s jagged mountain ranges in close proximity to the coast were also credited with breaking the hurricane’s force by disrupting the circulation of air in the storm. “High mountains like that just tear storms like this apart,” Masters said.